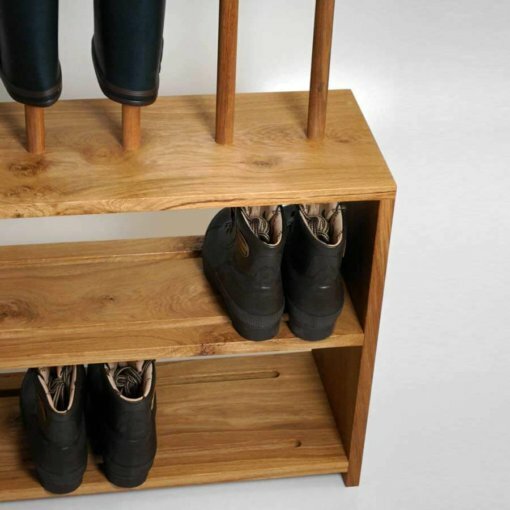 ∙ Wellington and shoe storage rack hand-crafted in solid Oak. ∙ Integrated seat for fitting/ removing your boots. 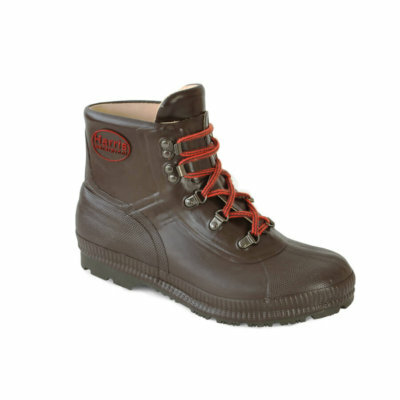 ∙ Holds 5 pairs of wellington boots and 7 pairs of shoes or walking boots. Oak Wellington and shoe rack with integrated seat, hand-made in solid Oak. Our welly racks are the perfect compliment to your favourite wellingtons and shoes. Featuring a seat for you to put on/ take off your boots in comfort as well as poles for your wellies to hang upside down on to keep their shape whilst airing out and a slotted shoe shelf underneath, perfect for your walking boots or shoes. Boot&Saw shoe and wellington storage racks are hand-made using sustainably sourced Oak, designed and hand crafted in house. We use European Oak, which naturally features a beautiful colour and grain. Our Oak dowels are hand turned in the UK. A robust wood, Oak will last longer than pine and is better suited to use outside. If you want the best available, Oak is it. 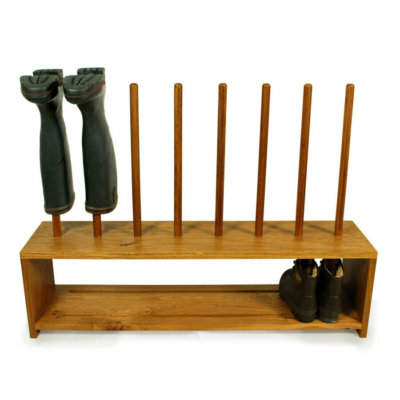 Our Oak wellington boot and shoe storage racks are available in a range of sizes from 2 – 5 pairs of welly boots. Boot&Saw oak wellington boot racks are supplied ready oiled and require very minimal assembly before use. Also available with an extra shoe tier for busy households or as a basic rack. Visit the shop to see more of our boot racks and welly stands or contact us for a custom request. We are very impressed, beautifully made and lovely to look at ; strange thing to say about a boot rack! We are hopeful that our children will continue to use it, if not I will put their boots out in the rain. I will happily recommend your company to anyone and have been very impressed with the service.